An interfaith group of Virginians gathered Sunday evening to forge a way forward after blackface scandals that shook the highest offices in the state's government. Va. Attorney General Mark Herring sat on the front pew of the Mt. Zion United Methodist Church to listen. This year commemorates 400 years since the first enslaved Africans were brought to Virginia’s shores, and the Commonwealth is now grappling with the recent wounds of race-related incidents. 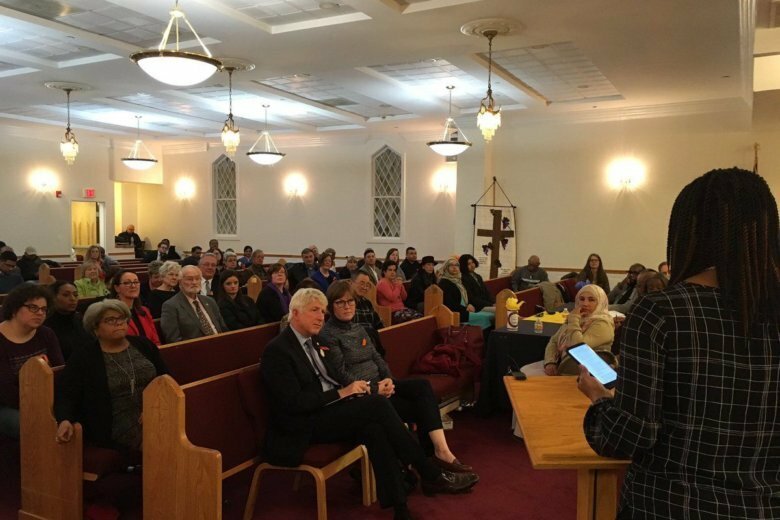 An interfaith group gathered in Historic Leesburg Sunday evening to figure out how Virginians can move forward — together and for the benefit of all. Virginia Attorney General Mark Herring sat on the front pew of the Mt. Zion United Methodist Church to listen. Even though both Herring admitted wearing blackface in the 1980s and Gov. Ralph Northam was caught up in a controversy over a photo of one person in blackface and other in a Ku Klux Klan robe, Loudoun County NAACP President Pastor Michelle Thomas told reporters after the event that there can be positives that develop from the turmoil. “A lot of people really would like to see something positive come from this focus on race that we have right now in Virginia,” said Herring. As he listened, Herring told reporters about two of the things he took away from Sunday’s working session. Herring said he’ll listen to see what role he might be able to play to address systemic racism. “We see it in a lot of different ways — in our criminal justice system in Virginia,” Herring said, remarking that African Americans make up “about 19 percent” of the state population, “but our prison population is over 50 percent African-American. “The poverty rate among white Virginians is only about 8.8 percent compared to 18.3 for African-American Virginians. So there is a lot of work that we need to do and some of it can happen at the state level. A lot of it may also have to happen at the local level, and we had a very good dialogue about some of those issues that impact the local community here,” Herring said.